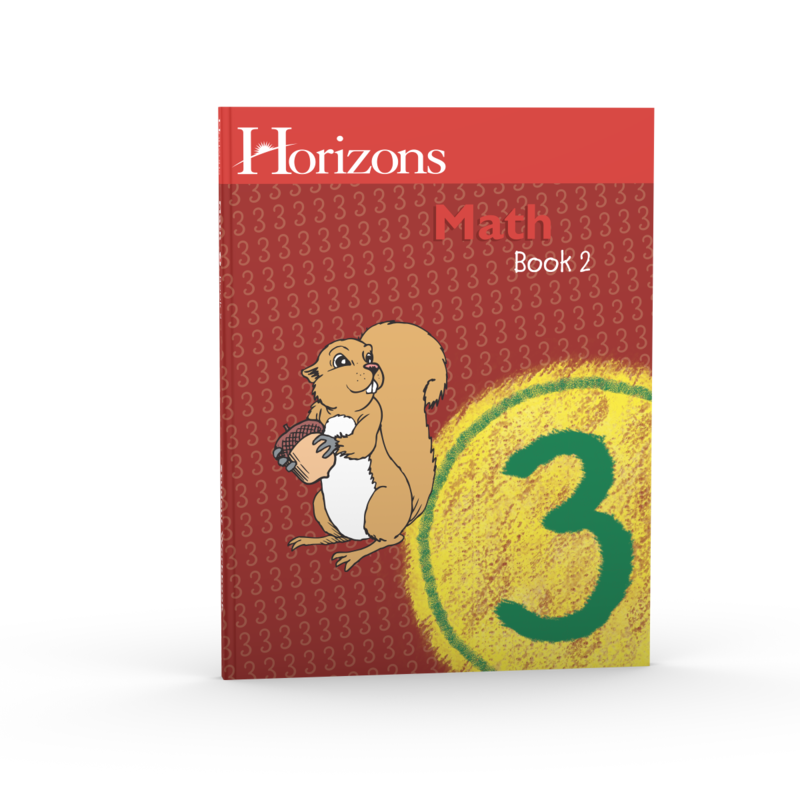 When you need a comprehensive, well-structured elementary math curriculum that's fun to teach and fun to learn, Horizons 3rd Grade Math Student Book 2 is your answer! Expanding on concepts learned in the Horizons 3rd Grade Math Student Book 1, this brightly illustrated, consumable workbook keeps your child excited about learning math. Engaging, fast-paced lessons in this Alpha Omega curriculum introduce, review, and reinforce new concepts such as division involving 2-digit quotients with remainders, relationships between decimals, fractions, and mixed numbers, temperature expressed in Celsius, positive and negative numbers, and more! And with hands-on learning activities and other manipulatives complimenting each concept taught, math will definitely be the subject your child looks forward to most each homeschool day! But that's just the beginning! After each series of 10 lessons, this easy-to-use workbook contains a comprehensive review test to prevent your child from carrying any misunderstood concepts into future lessons. What's more, your child will enjoy the convenience of perforated pages that allow him to tear out each day's lesson to work math problems comfortably. Perfectly suited for today's homeschooling family, the Horizons 3rd Grade Math Student Book 2 from Alpha Omega Publications is the math curriculum you want. Discover this amazing, award-winning math workbook for yourself. Add a copy to your shopping cart today!